Since 2014, betting on the odds of a college football team winning the national championship is now more enticing because more teams (four in total) are given a chance to win the title due to the addition of a playoff system for the first time in history. 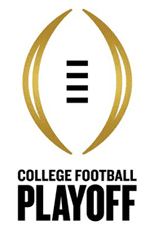 To win the College Football Playoff National Championship, a team must win two games in a row, the semifinal matchup, and the championship game. We want to give you a sneak peek of who we’re picking to be crowned champion of NCAA Division I FBS in addition to providing you with the best legal betting sites to bet on the odds to win the national championship. Is it legal to place an online bet for the CFP National Championship? Yes. Online betting on the National Championship for college football is legal in the USA as long as bets are placed through legally licensed and regulated online sportsbooks located offshore or through state-regulated online sportsbooks. For further information visit our Legal US Football Betting Guide. Bovada is one of the leading US friendly sportsbooks and offers betting odds for the College Football Championship. 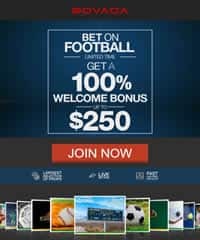 If you are a United States resident and are looking for a legally licensed sportsbook to place your bets with, then Bovada is an excellent choice. Below you'll find the legal online sports betting options that provide a variety of NCAAF betting lines and also welcome US players. They have each been vetted by our team of professionals, and offer players a safe and reliable gaming environment. 2019 CFP National Championship Betting Results: Did Clemson Beat the Odds? Heading in the college football title game against the No. 1 Alabama Crimson Tide, the No. 2 Clemson Tigers were 6-point underdogs and had a 37% chance of winning (when using the +170 from the money line), according to Bovada. Additionally, the over/under on the total was set at 58 points. Most projection models gave Clemson a higher chance of winning than at the sportsbooks, averaging between 40-49 percent. While coach Dabo Swinney’s Tigers had a high chance of winning for an underdog, the odds of them winning 44-16 and blowing out a Nick Saban-led Alabama team by 28 points were astronomically low. In fact, the 28-point loss to Clemson is the worst defeat in Saban’s entire tenure as the Alabama head coach since arriving in 2007 and doubles the margin of any loss while at the school. Previously, his worst loss with the Crimson Tide was by 14 points, suffering a loss by that margin three times: 31-17 to Utah in the 2009 Sugar Bowl, 35-21 to South Carolina in October 2010, and 45-31 to Oklahoma in the 2014 Sugar Bowl. There is a reason why, coming into the matchup, Alabama had been favored in 126 out of its past 127 games – the Tide were a 1-point road underdog to Georgia in 2015 and won that game 38-10. Simply put, the Tide have been not only good but dominate for a decade. Because of this, the win by Coach Swinney and the Tigers was one of the most impressive in history. Clemson not only beat the odds, but they also did so laughingly – easily covering the 6-point spread by a margin of 34 points and sealing the (+170) money line in the 3rd quarter. And if that wasn’t enough, the total went over 58 points after Clemson quarterback Trevor Lawrence threw an NFL-ready pass, while under pressure and over the linebacker’s fingertips, to receiver Tee Higgins for a 5-yard touchdown with 21 seconds on the clock in the 3rd quarter to make the score 44-16 with the final total of 60 points. After covering easily, sealing the victory, pushing the total over for the game, and doing all three before the 4th quarter even began, bettors who backed Clemson should be throwing coach Swinney and the Tigers a pizza party to celebrate the victory and the money earned from team’s historic win in the 2019 CFP National Championship. Following the conclusion of the 2019 College Football Playoff National Championship on Jan. 7, 2019, which saw the No.2 Clemson Tigers win 44-16 over the No.1 Alabama Crimson Tide, sportsbooks immediately posted the “way-too-early” odds to win next year’s national championship. Early opening 2020 national championship odds are courtesy of Bovada.